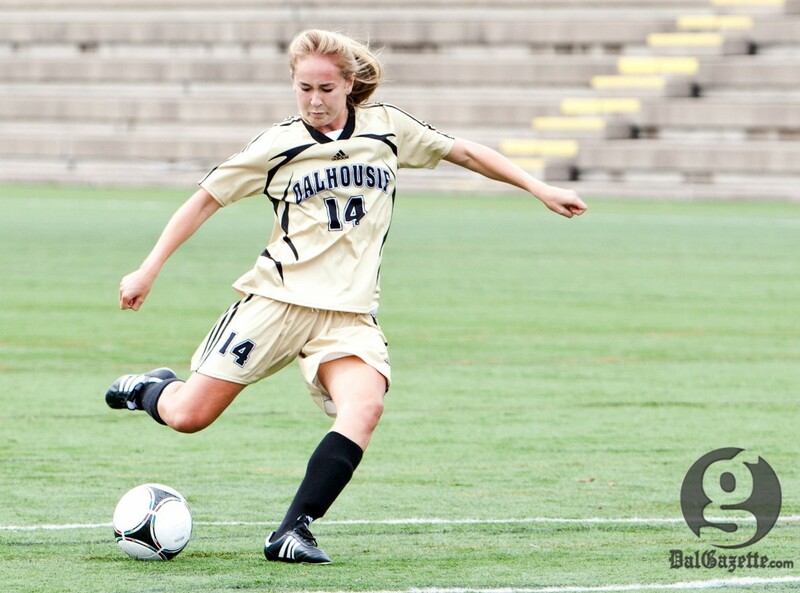 The Dalhousie women’s soccer team couldn’t have recovered much better from the first game of their doubleheader weekend at Wickwire Field. After losing 3-2 on Sept. 22 in a tense match against the top-ranked Cape Breton Capers, the Tigers roared back with a 6-0 demolition of the Memorial Seahawks the next day. Dal’s split record on the weekend leaves the defending champions tied for third place in the AUS with a 3-2-1 standing. Before steamrolling past the Seahawks, the Tigers were poised to put up a challenge against the undefeated Capers. Dal’s Rieka Santilli opened the scoring in the ninth minute, but Cape Breton brought the match into their own hands, scoring three consecutive tallies. Dal striker Bianca Jakisa cut the deficit to 3-2 in the last two minutes of regular time but her effort was too little, too late. Despite a controversial call early in the second half, the Tigers did not give up. Cape Breton’s second penalty shot was retaken twice due to a line violation. Keeper Taryn McKenna made diving saves on the first two shots, but Cape Breton took the lead when the third kick was called good. She hoped her goal would lift the team’s spirits. Tigers coach Jack Hutchison said they didn’t perform for a full 90 minutes. And bounce back they did. The Tigers produced six goals from five players in their matchup against ninth-ranked Memorial. Fatigue played a role in the first half, with the Tigers struggling to keep the ball in play on the wings. Three minutes into the second, Kristy MacGregor-Bales headed in a free kick for Dal’s first goal. From there, the Tigers never looked back. Midfielder Daphne Wallace scored twice, while Doriana Homerski, Lauren Landry and Santilli each made the scoresheet. The Tigers play at home again on Saturday, Sept. 29 at 1 p.m. against Acadia. “We’re expecting a win, again,” said Wallace, Sunday’s player of the game. “We‘ve tried some different formations and we’re starting to connect as a team.